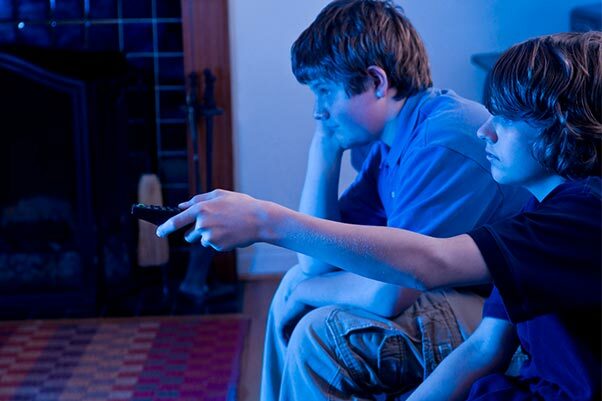 Yet another study has been released that indicates the harmful effects of excessively watching television. This article was originally published on the Huffington Post by Amanda L. Chan. TV time could be putting a damper on your child's sleep time, according to a new study. Researchers found an association between increased TV time and less sleep in kids. "Overall, each additional hour per day of average lifetime TV viewing from infancy through mid-childhood was associated with seven fewer minutes per day of sleep over the same period," the researchers wrote in the Pediatrics study. The effects seemed to be especially pronounced in boys, compared with girls. And in minority children in particular, the presence of a TV in the room was also associated with less sleep, according to the Pediatrics study. The study, conducted by researchers from Massachusetts General Hospital for Children and the Harvard School of Public Health, included 1,864 mothers and children born between 1999 and 2003, all of whom were part of Project Viva. The kids' average sleep and TV viewing was tracked annually from when the children were 6 months old to 7 years old. This isn't the first time screentime has been linked with sleep problems for kids. A study published last year in the same journal showed that kids who had screentime right before bed were more likely to go to sleep later. Other research has also linked too much screen time with kids' weight, school performance and peer relationships. Parents can curb the harmful effects of TV time on sleep by implementing screen time limits in their homes. Parents may also make certain house rooms "tech-free" zones, such as bathrooms, kids' bedrooms, and kitchens.